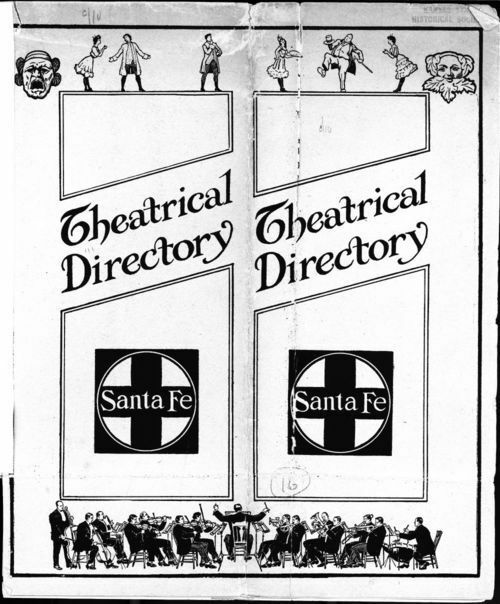 This theatrical directory published by the Santa Fe Railroad Company provides a list of theaters and opera houses with their locations along the Atchison, Topeka and Santa Fe Railway Company system. At the back of the book, a map illustrates the locations of the theatrical facilities along the Santa Fe lines. The directory was a useful guide in determining routes and bookings for the season's theatrical tour.